It’s clearly established that disclosures made to professionals such as patent agents and patent attorneys are assumed to be in confidence. Also, if the parties have agreed that a disclosure is confidential, then the necessary standard of confidentiality has been established. And then there are other cases where the circumstances imply an understanding of confidentiality: Disclosures made to a draftsman or to an industrial designer to improve the product, disclosures made to find out whether there are public regulations that the invention must meet, disclosures within the family, and numerous other cases where a special relationship exists. The problem of establishing confidentiality arises when conversations occur between business persons in the context of arms-length relationships, such as between the inventor and a potential purchaser. Are these exchanges assumed to be confidential? Before attempting to address that question, we can move to the other side of the spectrum. 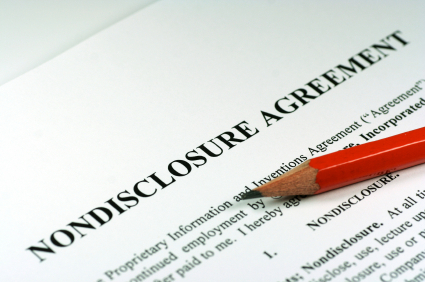 Certain disclosures obviously are not intended to be confidential. These include speeches made in a public venue such as at a conference or to the press, advertisements in a newspaper, offers to sell where the product is disclosed in its entirety to the purchaser and, of course, written publications. Certainly the delivery of an article that embodies the invention to a purchaser qualifies as a totally public disclosure. There would be no imposed duty of confidentiality on the purchaser, unless there was an explicit agreement between the parties as to secrecy (except in the U.S.). Any one of these acts would terminate the right to file for patent rights in Europe. Any one of these acts would start the one-year grace period running in Canada, the U.S. and several other countries. The clearest cases are situations where the party who discloses the idea does so with the obvious intention of making the idea “available to the public.” Note that it is the idea that is being made available and not simply a sample of a product. In a similar vein, if an inventor was to visit a welding shop to ask how something could be welded as part of completing an invention, then the owner of the shop might argue six months later when he starts to build ramps for loading snowmobiles onto pickups that he never intended to hear about the inventor’s concepts on the basis of a duty of confidentiality. If accused of breaching such a duty, he might also argue that the ramps he is building are different in some respect from the inventor’s design (if this is true). But they might still incorporate a principle that the inventor would want to protect and reserve for his exclusive exploitation. Until the patent issues, the welder can continue to build ramps. Once a patent issues, litigation may follow. The outcome may depend on what the patent will cover. As a further defence in litigation, the welder could argue that the invention had been made available to the public before the relevant deadline. The relevant deadline would be the filing date for most countries in Europe and one year earlier than the filing date for Canada and the U.S. The welder would say that he did not consent to receiving the inventor’s ideas in confidence and that therefore the disclosure terminated the right of the inventor to file for a patent, (assuming the novelty deadline had been passed). This would be a tough case for the judge; a situation that is definitely in the gray zone. Consequently, it’s very desirable for an inventor who wishes to discloses ideas to others to first announce that he intends to make a confidential disclosure and then to obtain the consent from the other party that he/she will receive the disclosure in confidence. This transaction can occur verbally and would be binding if it could be established in court. But things that are not reduced to writing are hard to prove. The presence of a witness would help, but the best evidence would be a piece of paper signed by the recipient of the information whereby the recipient undertakes that he will receive the information that he is receiving in confidence. Unfortunately, lawyers have gotten hold of the mandate to produce these pieces of paper, notoriously known as NDAs or confidentiality agreements. Once this occurs, the text written down on the paper goes far beyond, “Yes, I will keep your secrets.” And as many lawyers would insist, it’s appropriate that these documents should be more complicated. But that is another story. This paper has gone on long enough. Accordingly, the content of nondisclosure agreements will be the subject of the next post on this topic.